The Kilimanjaro team are inspired by a tribal culture, which is influenced by Managing Director, Ronnie Baskind’s South African background. Each employee is welcomed to the company as an equal, motivated by a collaborative and cooperative working environment. The flat structured theme is inspired by an African term ‘Ubuntu’, essentially meaning ‘I exist because you exist and you exist because I exist’. Kilimanjaro’s unique workplace environment allows for each individual to work in unity with one another, emphasizing the importance of equality that inspires an understanding, patient and supportive workplace. In light of these values, we are proud to support charitable organisations as it encourages clients to share the same principles and beliefs that the Kilimanjaro Consulting Tribe shares. Kilimanjaro Consulting has supported various charities that we believe are making great progress and changes to the world. In the past, we have participated in fundraisers for Brain Cancer Foundation which is a charity that lives close to our hearts. Currently, we are supporting Ronald McDonald House with our product and services to encourage all the amazing work they do to ensure families can be close together to support their children in times when they need it the most. Therefore we are excited to announce our tribe have volunteered to participate in their ‘Make a Meal’ program at the end of the year, giving us the opportunity to engage with the families and create a fun and supportive environment by cooking dinner and giving them time to relax and enjoy to reduce some of their pain and stress. This month Kilimanjaro Consulting are supporting one of our valued clients, Candice who is teaming up with Autism Association of WA to raise funds towards an Early Intervention Program for children with Autism. Courageously, Candice has decided to climb Mount Kilimanjaro in her great effort to support the cause and raise funds for those in need. The tribe here at Kilimanjaro wholesomely believe that making charitable donations and spreading the word is a great way to create awareness while inspiring employees, clients and others to be involved. We are confident that Candice will achieve her goals to reach the summit of Kilimanjaro, just as she succeeded in her journey with us in implementing MYOB Advanced. We wish Candice all the best in her inspiring efforts. Please join us and donate now to this great cause by clicking here. 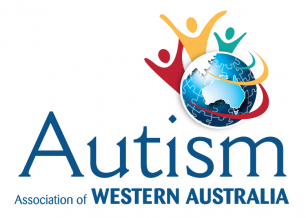 Alternatively please visit their website to learn more about The Autism Association of Western Australia and the incredible work that they do.